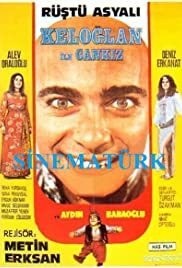 Keloglan (Bald Boy) is a poor but very intelligent boy and his country under control of an evil sorcerer queen named Seytane, so he decides to stop her with using his mind and help of his magical dwarf friend Bicirik. In this episode Keloglan is in Istanbul. Ali baba is against the forty thieves. When Battal Gazi is killed by Byzantine Prince, his son swears to take revenge. Byzantine Prince kills Kara Murat's father and kidnaps his brother to raise him as the Black Knight to fight against Turks. Years later, Kara Murat has to face the notorious enemy in a mission to save abducted Karaca Pasha of Rumelia. Battal Gazi takes on the Byzantium to save his kidnapped wife and kid. the famous Turkish ''tramp^^ Turist finds himself in a new funny adventure in Spain. After his family is killed in front of his eyes, little Seyit Battal grows up to be the nightmare of Byzantine's Black Knighthood. Mehmed the Conqueror sends Kara Murat to stop Prince of Wallachia, Vlad the Impaler aka Vlad III Dracula, the historical inspiration for the vampire Count Dracula. Keloglan (Bald Boy) is a dreamer but his only ability is talking, one day The Sultan announces a tournament and best warrior of the land will win his daughter, Keloglan wants to join the tournament to make his dreams come true but didn't know how to fight so he begins a travel to learn fighting from famous warrior Master Ali Cengiz.